Can I really have a log in my own eye, and my neighbor only a speck in his? How are my sins so much greater and more damaging than another’s? 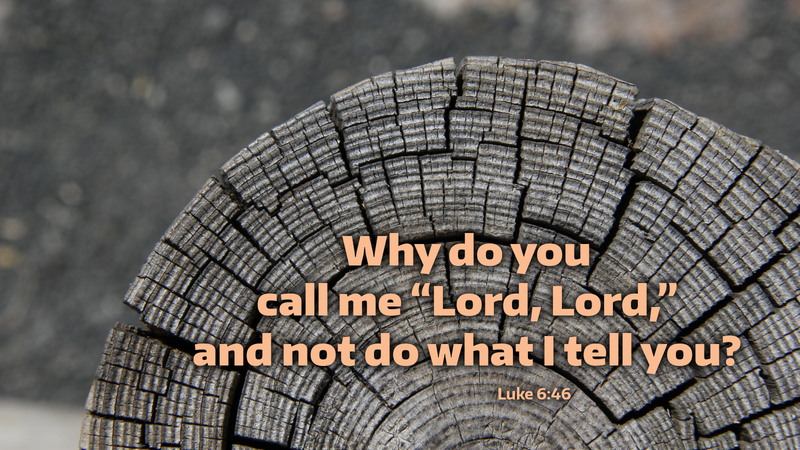 How can I take the measure of my sins? What is the heavy beam and what is the organ of sight it has disabled? Jesus discloses both the extent of my sins and their harrowing effect by showing what I have done to God. He is the God of flaming nebulae and far-flung galaxies, yet because of my rebellion, this—the humiliation of being whipped, cursed, spit on, and hammered to a plank by his own strutting creature—this is what was necessary for him to be the God of me. The organ of sight is the act of kneeling before the cross of the dying Christ, seeing there the dimensions of God’s love, and measuring both my neighbor and myself by nothing else. Prayer: Father, forgive my sins and my blindness to them. Amen.